Compston House is a traditional 1890's merchant house built of Lakeland stone. Throughout the years, it has been lovingly cared for and provided many guests with memorable visits of Ambleside. The property is ideally situated in the heart of Ambleside, close to all shops, bars and restaurants. Owners Megan and John (and their dog Mia) took the helm in June 2017 providing high quality hospitality, a comfortable stay and fantastic breakfasts making your stay all the more enjoyable! Formerly known as "American style", Compston House has undergone a major refurbishment and has now had six of its nine rooms renovated to a very high standard, leaving only three to follow. All of our new rooms have been very well received from our previous guests and we look forward to completing the house in the coming years. Further information relating to our ongoing renovations is available on our renovations page. We offer a selection of board games and books in our guest lounge for your enjoyment during your stay, in addition to complimentary access to White Platts Recreation Ground found directly opposite the house. They boast a variety of activities such as pitch and putt, mini golf and 3 tennis courts for you to enjoy (seasonal restrictions apply). Since arriving at Compston House, our young German Shepherd Mia has stolen the hearts of many! She loves meeting our valued guests, and they love meeting her! She is extremely well behaved and very friendly! She knows her place in the house and never enters the dining area and only stays at Reception. 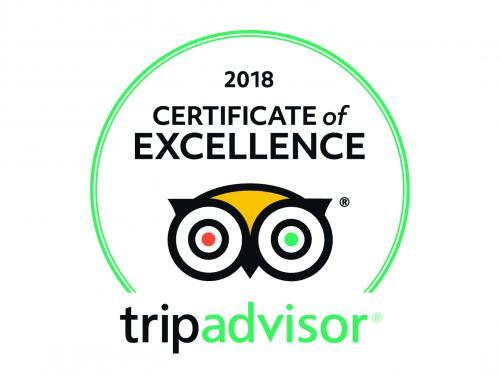 We look forward to welcoming you to this amazing part of the country and providing you with the great service, excellent hospitality and fantastic breakfast you deserve! We hope to you see you soon! Unfortunately, we are unable to accommodate children under the age of 16 or pets. We accept card payments, except for American Express. Located on the top floor at the front of the house, this newly refurbished deluxe king room has great views with a seating area and sloped ceiling with exposed wooden beams. The room features a new posturepedic king bed, 32" Smart TV, USB charging sockets and a generous hospitality tray including a Tassimo coffee machine. Bathroom fitted with a LED de-mist mirror, heated towel rail and a bluetooth shower radio for your enjoyment. Breakfast is included in the room rate along with a parking permit to use the local car parks for free during your stay (please refer to our parking page for more info). All rooms have access to our superfast fibre WiFi.